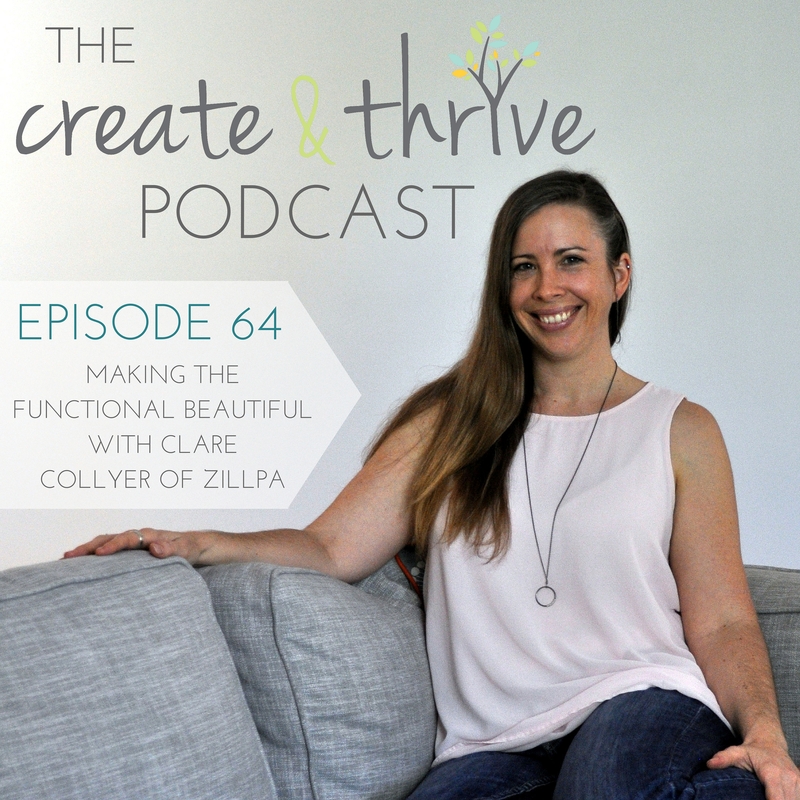 In this Episode I chat with Clare Collyer, the designer and maker behind the Australian handmade brand Zillpa. Like many of us, it took time for Clare to find her current creative path. She had a creative childhood and studied graphic design but soon realised that what she really wanted to be doing was working with her hands. Clare went on to study fashion design, and absolutely loved it! She ended up securing a job working for a bridal label, where she learnt a lot about running a business making things. Behind the scenes, Clare was working on her own designs… and at one point, she started creating rope-based products. That was the turning point for her and her business. Zillpa began to grow, and so Clare took the leap to creating and selling her products full time. I met Clare through the Brisbane maker’s scene – specifically, because we were both members of BrisStyle (which began as an Etsy team, and which I was the VP of a few years ago). I love her work, and I knew she’d turned her biz into something really successful, so I invited her to come on the show and tell her story. Zillpa grew so much that Clare ended up opening her own retail space with a working studio out the back. The store front has now closed as she focuses on markets, online sales and wholesale to grow her business. Clare finds that face to face selling can be easier for her with customers enjoying holding and feeling her designs before buying. Clare took Zillpa to the trade show Life InStyle and this ended up being a huge success for her business securing a large number of wholesale orders. The biggest challenge she has faced in running her creative business are her own pressures and expectations of herself. A huge boost to the business was a featured article in Home Beautiful magazine which has been a highlight of her creative career. Clare has found that taking her products to the customer such as shows and markets has been the best marketing move for Zillpa. Clare now has a wholesale agent which has been a really positive experience for her helping her free up time to do more creating. Clare admits that having a plan for your business is a huge help in moving forward as well as knowing your weaknesses and being ok with them. She hopes to continue growing her business and to keep creating and doing what she loves well into the future. You can Find Zillpa on her website (This site/resource is no longer available), Facebook and Instagram.